At a driving event in the Swedish city of Skelleftea, rally legend Walter Röhrl shows just what the Porsche Cayenne GTS and Turbo S SUV models can do. In two weeks' time, the Cayenne GTS celebrates its world premiere at the LA Auto Show. Here you can see the sporting variant of the Porsche SUV already. 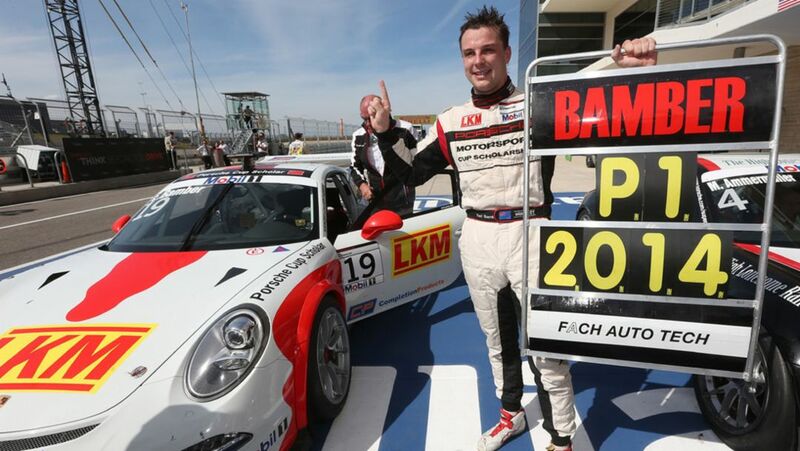 At the very last round of the Porsche Mobil 1 Supercup season he added another jewel to his crown: New Zealander Earl Bamber became champion at the race in Austin, Texas.